High school and college graduations, weddings and other life molding events call for a special touch to add to the memory. In these situations, the last thing you want is miscommunication and end up with no limo service and the embarrassment that goes with it. 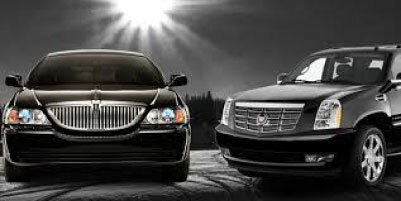 Here are a few ideas to help with planning when hiring a professional Limousine Service. Start with what type of event you plan and make a list of some vital points to clarify. A graduation party is not the same as a wedding and requires careful details to make sure you hire the best company. Ask for references from friends and family as a good place to start in hiring the professionals you need. It is vitally important that you make a detailed list of everything you want to include and the price of each one. Ask about the package deals they already have in place and if you can modify them to customize your needs. A list of prices helps you decide exactly what frills you need and those that you must have for the occasion. For a wedding party, the total number of people is larger than just the Bride and Groom. If the chauffeur is to drive them away from the wedding ceremony or reception, then two occupants is the total number of passengers. For a graduation, decide which 'best friends' you must include and allow for two to three more people. Remember, there is an occupancy limit on each vehicle. Once you know the total number of people you can decide on the type of vehicle. Even newly weds have unusual honeymoon ideas, and an SUV is likely to serve their purposes for off-road accommodations. Stretch limos are typical for weddings and graduations, but use your imagination and come up with something totally unexpected. Again, remember the total number of people the car will transport. Safety and Licensing are tantamount in choosing a service. This is not the time to hire a service with only one or two cars. Make sure they are properly licensed and have all permits up-to-date and the vehicle inspection records are clearly displayed. Most companies have mechanics of their own but make sure they do regular maintenance on all vital parts of the unit. Stay focused on value. As mentioned, there are package deals that offer different levels of involvement. A night on the town might include Champagne and caviar while a graduation party needs plenty to drink and delicious variations of dips and finger foods. Keep in mind the total number of people being served. It is important to remember that these professional drivers are booked way in advanced. Some of them are booked ahead as far as 12 to 18 months! Be sure to call and ask about all the details before telling anyone you will supply 'the ride to remember' because an unexpected cancellation is the only way to book them on short notice. Celebrating memorable occasions is a great time to enjoy the finer things in life, but careful planning and attention to details makes it a night to remember. When choosing a special gift for the people you love, make sure to list all the details and call well in advance to reserve what they need, and want.